I’ve recently been going through a bit of a spray painting phase, urged on by the approach of winter and the fact that it will soon be too cold to spray paint. It also helped that my friend Dekalb was cleaning out his basement and found eight cans of spray paint left there by previous residents. Old spray paint isn’t necessarily good spray paint, but I was tired enough of owning a pink trash can that I was willing to take the risk. I followed the instructions on the ten-year-old can of Rustoleum lacquer, prepping the surface with light sanding and a ten-year old can of Rustoleum metal primer, letting a few minutes pass between each light coat. It worked great! 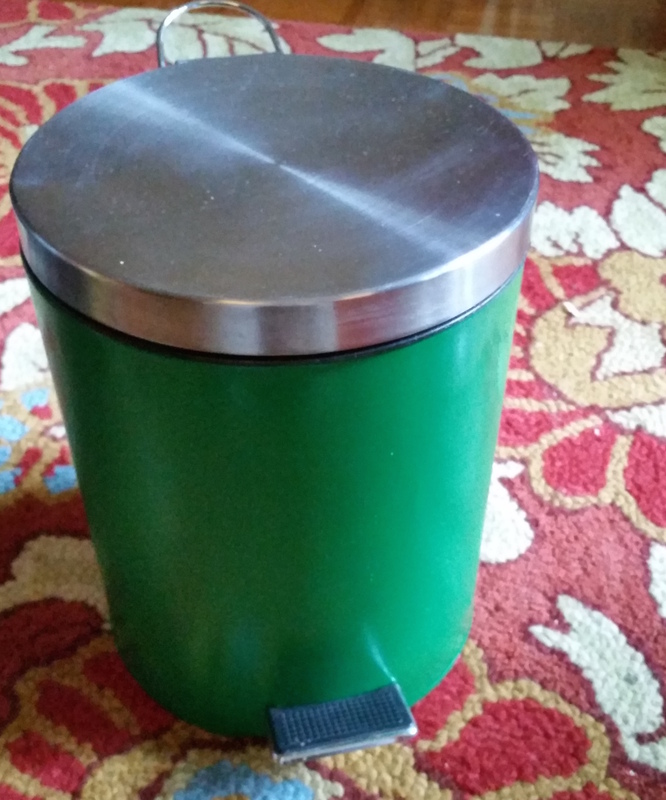 I let it cure under a tarp on my deck for a few days, and now I have a trash can that coordinates with both my kitchen and living room!